The featured game for March 5 - 8 is here! Get it now! 10% of all sales generated by this deal will go to Equality Now. Think you have what it takes to be a master builder? Think again! Bridge it will test your mettle in over 30 levels filled with chasms, rivers, trucks, boats, and more! "Set in the picturesque surroundings of sparse deserts and dense forests it is your task to strategically design and construct an engineering masterpiece. Watch in eager anticipation as unsuspecting motorists, heavy freight trains and tourist riverboats approach. Will your solution stand up to the test or will tons of mangled steel be sent plummeting into the river below? Earthquakes to really put your bridges through their paces!" Bridge It add on pack: eight more levels to test your skills! Please help Chronic Logic Greenlight Bridge It for Steam. Will your solution stand up to the test or will tons of mangled steel be sent plummeting into the river below? 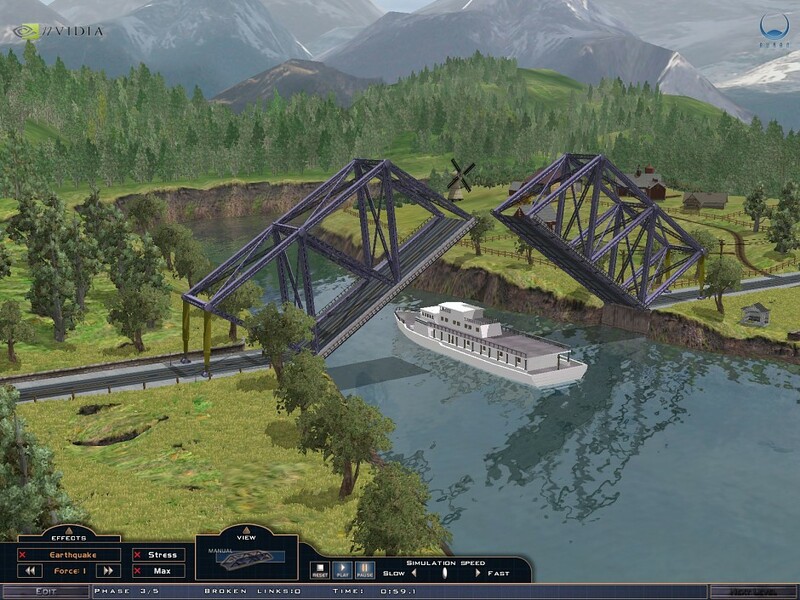 The Bridge It free demo for Windows includes five levels. It should also work in Wine. is the plus part (from the steam version) in the Desura version? steam mentions that it has the plus version. i believe it is the addition of 8 new levels, is that correct? Does anyone know if the desura version have these "plus" levels? or do i need to get it on steam for them? on medium 7 is there ment to be a bracket on both sides on the crossing or just on one side? 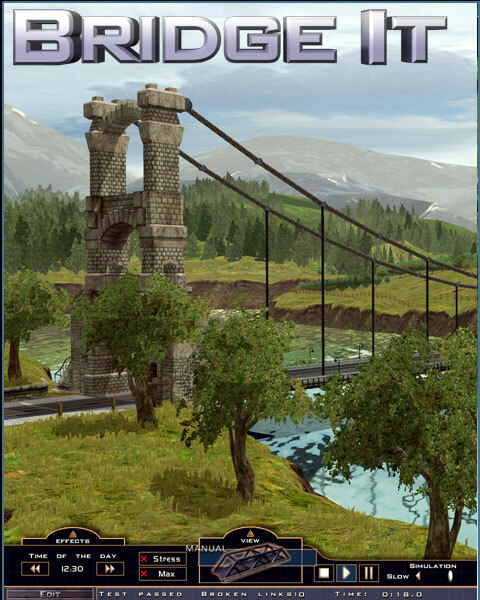 Go here: Indiedb.com and click the "Key" button next to Bridge-It. And keys for Steam ? Talked to dev, they expect IGS's keys to be up next week!